This week is the week of the intern! I have a dietetics student from Alabama, Sarah, completing a rotation with me in person. For my non-dietitian readers, a big part of our education is completing internship rotations with dietitians in different settings, like clinical, community or in this case, private practice. As part of her assignments before starting, I had her read Intuitive Eating, so I love hearing all of her insights on what she’s learning in school from her new non-diet perspective. Also, last month I partnered with Diversify Dietetics (an incredible organization working to bring more diversity to our field) to hire a long term intern to work with me on my blog and social media. Bryanna, the intern I hired, just started this week, and I couldn’t be more thrilled to work together! She’s an incredibly talented writer with tons of experience, and well versed in Intuitive Eating and HAES. She’s also really passionate about international public health, and actually spent a year working in Malawi on a research project focused on malnutrition and pregnancy. 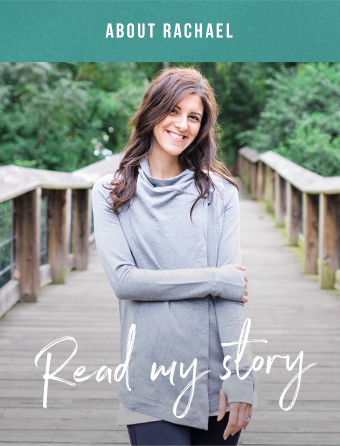 I’ll be sharing more about her and the work we’ll be doing in my Sunday newsletter, so if you aren’t signed up, enter your email into the signup box in the right-hand sidebar. I love to share new content with readers in my newsletter, and one of my goals this year is to make it even more helpful for my readers, so be sure to sign up! Bottom Line: It’s still a diet! If you follow me on instagram, then you’re familiar with my overshares of my big fluffy dog, Savannah. We also have a Saint Bernard named Charlie, who we love dearly too! On Monday, Savannah turned 10 years old and I turned into a big emotional mush about it. Bernese Mountain Dogs usually don’t live past 8, so we are so grateful for her health, but to be honest, I get really upset and anxious thinking about the future. I got her during a really hard year of life, so I’m probably a wee bit overly attached - I’m sure some of you relate! Anyway, here’s some cute puppy pictures of her that I couldn’t help but share! Sometimes we get our heads stuck in toys! Don’t judge! Monday was a crazy day for me. I accidentally slept in, had two new interns starting, and was consulted to see a client during my usual lunch time. Plus, I was out of town over the weekend and hadn’t made it to the grocery store, so I didn’t have a lot of food in the house. Basically, I lived off random snack foods and canned Indian food until dinner. I felt really pressed for time that day, so that stress likely suppressed my appetite, but as soon as things slowed down in the evening, I was HUNGRY. I feel like accidental overeating gets discussed a decent amount with intuitive eating, but not undereating. When it comes to hunger and fullness, sometimes we miss the mark, and that can go both ways. In the past, when I accidentally got overly hungry, it felt really scary because it reminded me of being out of control, and triggered old diet-y feelings. Now, it’s a physically uncomfortable feeling, but not an emotionally uncomfortable one. 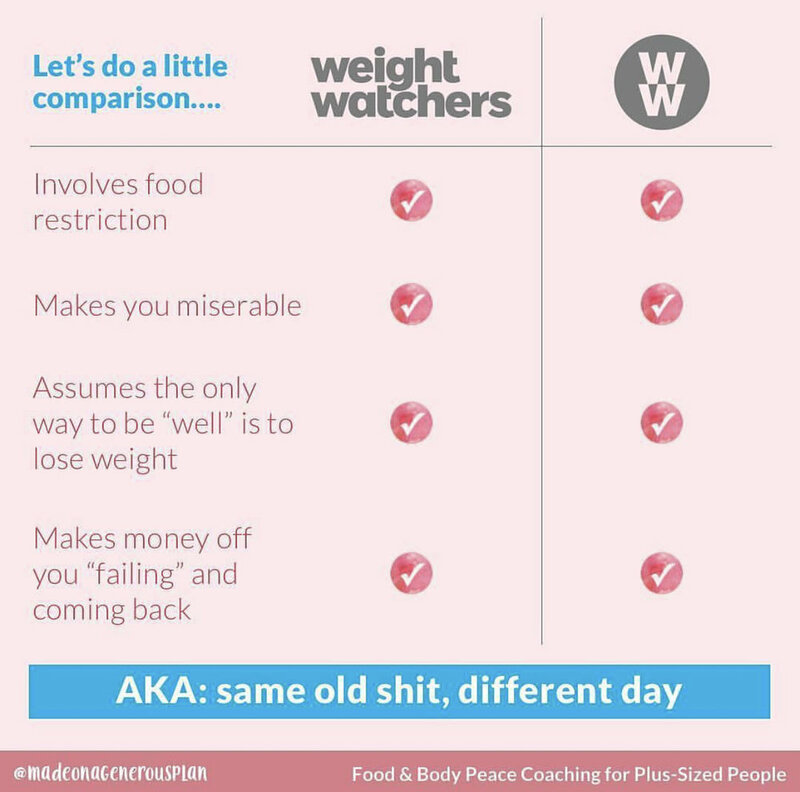 Because of that, I’ve found eating when I’m uncomfortably hungry usually doesn’t lead to eating until the point of feeling uncomfortably full (although it does lead to feeling physically uncomfortable, because eating when I’m really hungry usually upsets my stomach). Please know that it’s totally normal to make mistakes in eating, especially with hunger and fullness. If you miss the mark, I’d encourage you to notice how it makes you feel and file that information away for the future. For example, I noticed on Monday that I felt anxious during the day, and my brain was a little fuzzy when I was trying to concentrate on things. When I was cooking dinner at night, usually I like to use that time to chat and connect with my husband, but I was so hungry and mentally exhausted I told him I didn’t feel like talking, and threw on a podcast while I cooked dinner. It really took a lot of the pleasure out of eating, and out of a way I like to relax at the end of the day. Not to say I’ll never accidentally underfuel, but that information is filed away and will hopefully help me make smarter decisions in the future. The past two weeks have been really challenging with the news, and I know a lot of my clients are struggling with triggered memories. Consider this your reminder to take care of yourself. And if you need it, there’s no shame in calling the National Sexual Assault Hotline (1-800-656-4673). Anything you’d like to share from the week? Feel free to post in the comments!